Small program that allows you to create on the fly one or more non-compressible files, or maximum compressible files. The purpose of the program is that you can do various tests with these files, such as to test compression programs on their performance, or other programs, such as FTP programs to determine when the transmission of the data is compressed or not, or test the behavior of several files. Similarly, solid state drives, where data is compressed to increase performance. With this program you can create thousands of files to test the behavior of programs or hardware (eg pci-e ssd) in multiple files test. ◆ Creation of non-compressible files  (random number generator)! 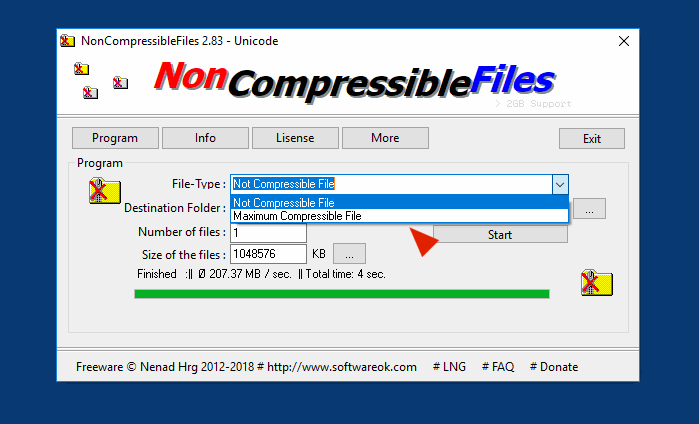 NonCompressibleFiles does not require installation, it can be easy launched from the windows desktop with no installation and is ready to use on all Windows operating systems. Small adjustments for x64 Version and general optimisation plus language files update. 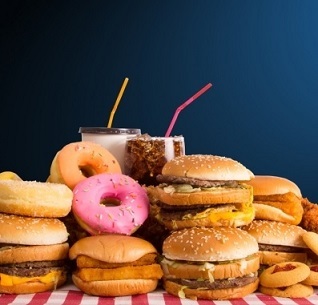 334 485 Nenad Hrg <img src="https://www.oldergeeks.com/downloads/gallery/thumbs/NonCompressibleFiles2_th.png"border="0"> Nov 13, 2018 - 11:56 2.85 45.4KB ZIP , out of 3 Votes.